Pronation is the natural movement of your foot as you walk or run. Overpronation isn’t an injury due to walking or running, but it can lead to one if you try to over correct it. One way to help fix the issue before it results in an injury is to find the right shoes for foot pain to best fit your feet. Pronation helps to absorb the shock of your gait and adapt to uneven surfaces of the pavement or road. If some areas of your body hurt after spending time out walking or running, it could be due to a chain of events that take place due to overpronation. 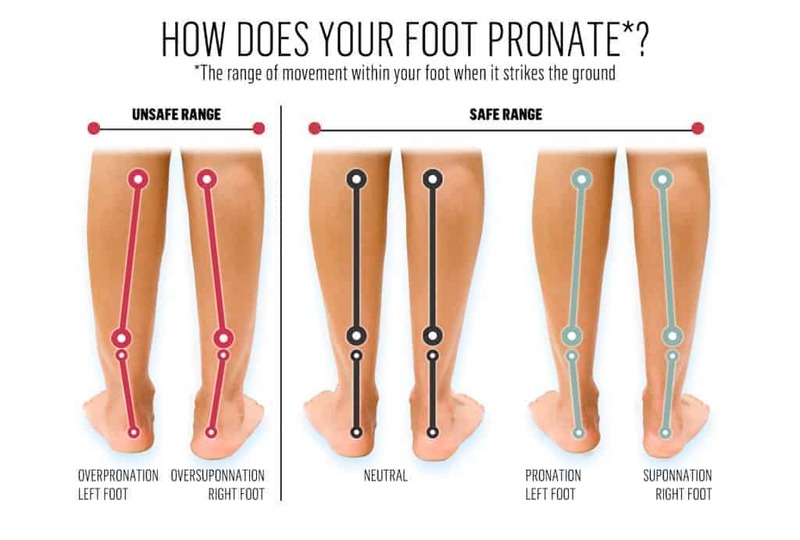 If you have been experiencing foot or ankle pain, leg and knee discomfort, or any aching in your lower back and hips, you may want to consider having your foot’s arch and gait examined to determine if you over or under pronate when walking. Our pick of the best stability shoes. The Asics are a popular choice among runners and non-runners who are looking for a good, supportive shoe. 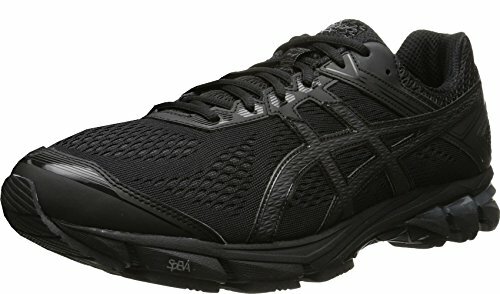 They feature the Asics gel technology to help with shock absorption and mesh panels that help increase breathability. The I.G.S. (Impact Guidance System) technology helps to enhance the natural gait of your foot. The rear- and fore- foot cushions allow for better movement as the foot transitions through the gait cycle. The Asics have midsole material that improves bounce-back while decreasing midsole breakdown. These shoes are ideal if you have mild to moderate overpronation. Some customers have noted that the sizes run a little smaller than usual, but that can be remedied by having a sales associate measure your foot and help fit you with the right size before you order online. Saucony Men’s Hurricane Running Shoes aren’t just for runners. At only 11.2 ounces, they are light-weight and provide a supportive frame heel locking system. With the PowerGrid cushioning and medial arch support, these shoes are good if you have a moderate overpronation. The people at Saucony have spent time researching and studying the biomechanics of top athletes to develop a specially designed shoe to maximize your performance, regardless of your activity. In the Hurricane running shoes, cushioning is distributed more evenly with an 8mm offset that allows your heel and forefoot to be the same height; allowing your body to keep more balanced and your feet more comfortable with each step you take. 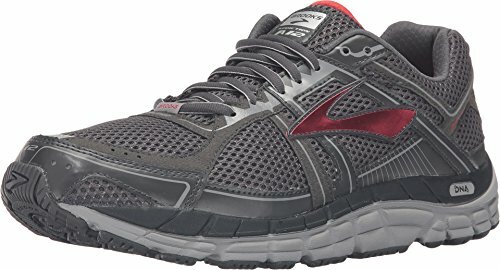 The Brooks Men’s Addiction shoe is a popular choice among customers who are on their feet a lot throughout the day. Durable and long-lasting, the Brooks Men’s Addiction are ideal for you if you have severe overpronation and need a combination of reinforced stability and cushioning. Some key features of this shoe include the padded tongue and collar, breathable mesh uppers and a lightweight design. This line of shoes is made with a progressive diagonal rollbar and heel segmented crash pad that helps control pronation, as well as contributes to promoting smoother landings in your gait cycle. The removable foam insole and textile element lining helps keep moisture away from your skin and keeps your feet feeling cool and dry. Most customers rate these shoes as extremely comfortable and say they fit well regardless of having wide or narrow feet. 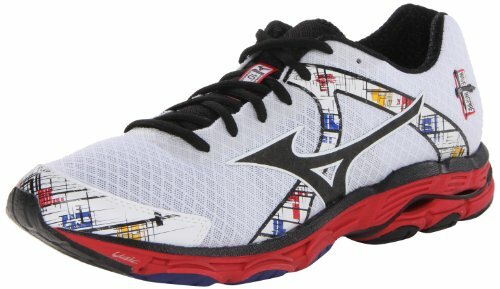 The Mizuno Men’s Wave Inspire Running Shoe is a motion control shoe for those with mid-to-moderate overpronation. This line of running shoes features the Dynamotion Fit upper mesh and lightweight midsole. The SmoothRide and lateral forefoot sculpting technology give you fluid motion and smooth transition of your gait. The company’s philosophy and drive to bring advancements to the sporting goods industry is evident in the Men’s Wave Inspire 10 Running Shoe. The technological advancements in the Mizuno line allow you to take superior quality and performance with you throughout your day. Customers that have purchased the shoes are happy with their lightweight feeling and great traction support. These shoes offer great motion control if you need a shoe to combat a low arch and extra cushion support. 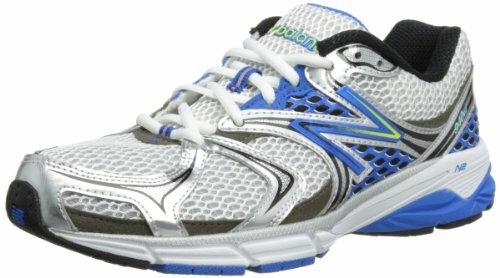 New Balance is well known for their line of athletic shoes. This line, the M940V2, is a stability shoe that has been built for moderate to severe overpronation. Made from lightweight fabric and a rubber sole, this New Balance shoe is manufactured in the U.S. and is a Medicare approved diabetic shoe. The M940V2 Running Shoe is made with a stabilicore medial post that delivers stability and pronation control for anyone who tends to overpronate. This technology allows for extra comfort and a smooth heel-to-toe transition. Not just for runners, the M940V2 shoe is flexible and designed for any fitness level. The midsole feature provides increased stability and cushioning. The upper sole has a Phantom Liner that enhances the shoe’s durability and helps keep your foot cool and dry. Before you head out to the nearest shoe store, first you’ll want to know your level of overpronation. Talk to your doctor about how much your foot naturally rolls and whether you could correct it with one of the specially designed shoes available. Depending on how high or low your arches go, finding the best shoes for overpronators will be a vital component to preventing possible injuries or discomfort in the future. Pronation happens when weight is transferred from heel to toe while in motion. It is the natural inward roll movement of your foot when walking or running. Underpronation, or supination, occurs when your foot doesn’t turn enough, thus concentrating most of the weight on the smaller part of your feet. Overpronation happens when your foot rolls too far inward when walking. This is the opposite of supination, where the foot rolls outwards on the ankle – an equally problematic issue that also needs to be addressed through changing your shoe type. This motion does happen naturally, but if your foot moves too much or not enough, it’s considered over- or under-pronation, leaving you prone to an injury. If you want to stay active with walking and running, or just want to eliminate any pain when walking, having a sturdy piece of equipment like a good athletic shoe, can make a lot of difference when managing any discomfort in your feet or ankles. A good pair of shoes is essential to these types of activities, especially if you want to hold off from having any foot pain or injuries that can develop over time. Overpronation can be risky if it happens frequently, especially if you are an active walker or runner. With overpronating, your movement is exaggerated and puts stress on the muscles and ligaments of the lower leg and foot including the shin and knee. Over time, this practice can make your ankles, knees, shins and feet more susceptible to injury or discomfort. How Do I Know If I Overpronate? The best way to tell if you overpronate is to make an appointment with your podiatrist. They will have you walk on a treadmill and perform a gait analysis to determine if your feet overpronate. If you don’t want to make that appointment just yet, there are other ways you can tell if this is a problem for you. Try standing still, with your feet a natural distance apart. Look down and see if you have a clearly defined arch on the inside of your foot. No arch on the inside of your foot could be an indication that you may have an issue with pronation. Another way to tell is through the wet feet test. Just soak your feet and walk on a stretch of pavement. Look at the footprints. Is it one complete foot print from heel to toe, connected by the impression of the outside of your sole? If the print shows little distinction between the rear and forefoot, your feet are pronated. You can also ask yourself a series of questions to help determine whether pronation is an issue:? Do I have any pain in my knees, hips, back or feet after running or walking? Did I feel any unusual tightness in my leg muscles? Do I have recurring calluses or bunions? If you answered yes to these, take it one step further. Are they worn uneven on the inside edge of the sole, or ball of the foot? Do they tilt inward when put on a flat surface? Again, if you answered yes, there’s a good chance that overpronation could be an issue for you. If that’s the case, there are steps you can take that will help alleviate the discomfort you have when being active. Even though pronation is a natural movement, the size of your arch can affect how quickly it rolls, causing either over- or under- pronation. Being able to push off evenly from the front of the foot is key to proper shock absorption when running or walking. Adding additional orthopedic inserts to your shoes can help correct overpronation, but if you keep a more active lifestyle, finding a good pair of shoes that can help with your pronation will offer longer-lasting comfort. If you have more of a severe overpronation, a combination of motion control shoes and orthopedic inserts may be needed to help the problem. Depending on whether you have a high arch, flat arch or normal arch will assist in determining what kind of shoes will best correct overpronation. If you have an average arch to your feet, a stability shoe that provides a moderate amount of control would be ideal. Runners with a high arch normally underpronate, which means there isn’t enough of a natural roll of their foot. In this case, a neutral-cushioned shoe would benefit them and offer a more natural motion when running. Are you a runner with more of a flat foot? If so, your feet are going to be more apt for overpronation. Finding a shoe with more stability control would be best for low arches as it helps to control the pronation of your foot. Whether you are a novice or beginner runner, or aren’t even much of a runner at all, knowing the best shoes for overpronators is going to benefit you in the long run. The type of shoe you’ll end up shopping for largely depends on how much of an arch you have in your instep, but it always helps to know what to look for. If you are a runner, you may want to start your search at a store that specializes in running shoes. Chances are they have a treadmill in-house that you can try out the shoes on. The associates can also see how you move on the treadmill and help you assess your individual level of pronation. At the least, the associates tend to know more about what type of support you will need to either help control or stabilize the amount of pronation that happens when you run or walk. There are a few features that you’ll want to keep in mind if overpronation is a concern. Motion-control or stability shoes with multi-density midsoles. This type of footwear can offer external features that can help control pronation. Buy shoes that have a straight or partially curved shape. The shape or “last” of a shoe can be either curved, semi-curved or straight. Depending on the kind of support you need, should help determine which last will be right for your feet. Include over-the-counter orthopedics or arch supports in your shoes.